Ketton Stone Masonry & Fixing Ltd from Stamford are currently processing supplying and fixing a large amount of cadeby on a private house. The Cadeby was chosen for its exceptionally good weathering properties. They are using it on many areas of the building including copings projecting cornice qnd blustrades. 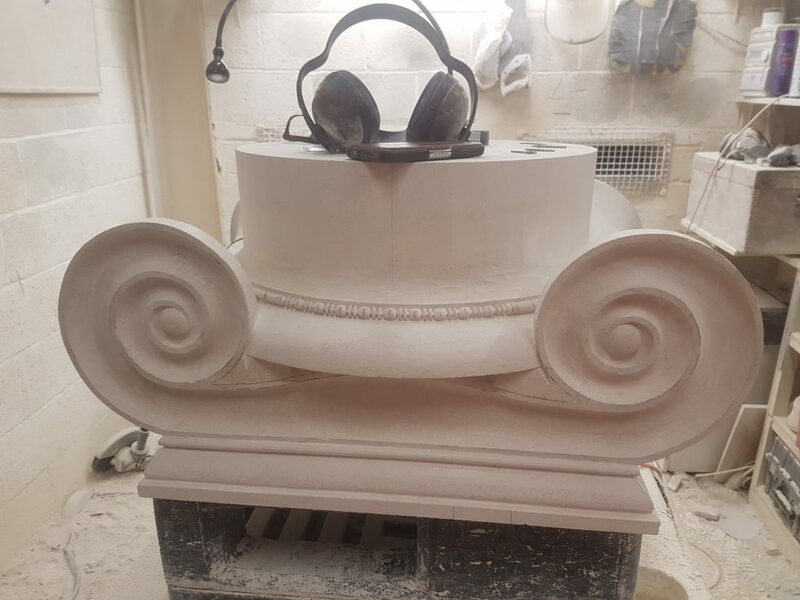 The above shows the fine grained nature of the stone allowing for some superb detailed work to be carried out.